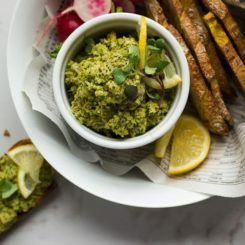 Dukkah is no stranger to this site. It is one of my favorite things to have in the pantry. 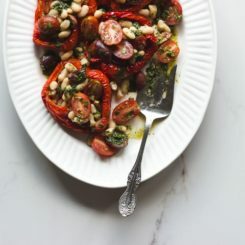 It can be sprinkled over soups, salads, dips or roasted vegetables. 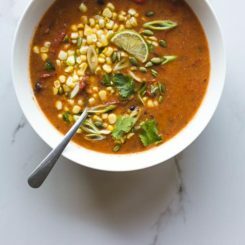 It adds warm flavors and just the right amount of texture. 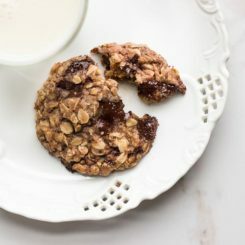 You can use any combination of our favorite nuts and seeds. 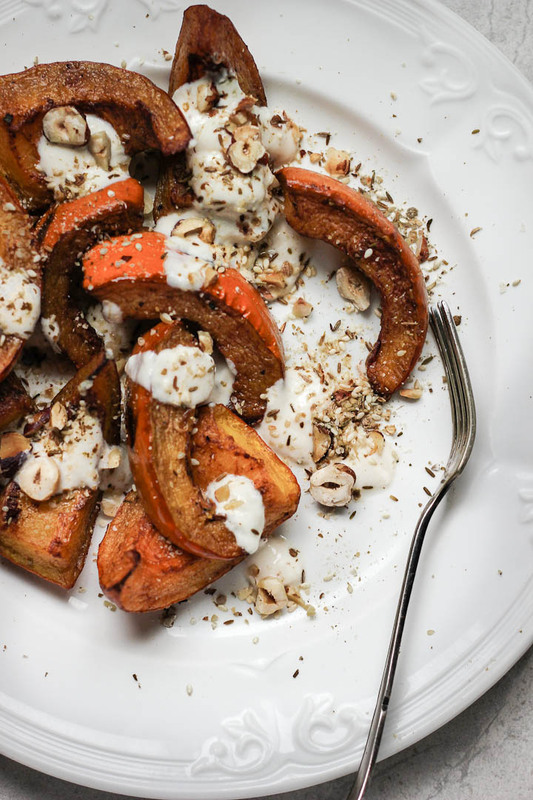 I love the aromatic flavors of this dish, cinnamon, cumin, tahini + roasted hazelnuts. It’s almost like a savory pumpkin crumble? 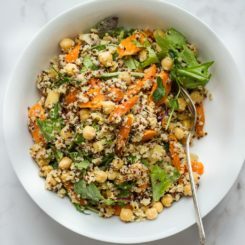 Make it a meal: I served this dish with this salad that I added roasted beets to. I also made some crispy plain socca bread for dipping into sauces + dukkah. Preheat oven to 375 F / 190 C and line a rimmed baking sheet with parchment. Slice the pumpkin the half and scoop out the seeds. Cut each half into two half moons and then cut those pieces into three. Cut your half moons in half so you have little quarter moon pumpkin pieces. I like this shape for easy baking and crispy edges. Place pumpkin on the baking sheet and toss with olive oil and cinnamon. Add enough oil to coat all the pieces. Sprinkle generously with sea salt. Roast in the oven for 20 minutes then flip the pieces of pumpkin, rotate the baking sheet and return to the oven for another 15-20 minutes. The skin should be really soft and the pumpkin crisping around the edges. Remove from oven and let cool slightly. 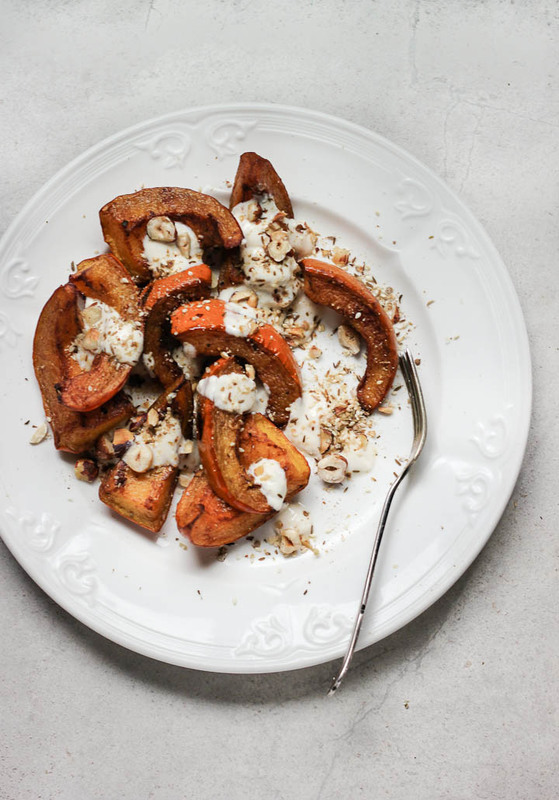 While the pumpkin is roasting, make the dukkah and the tahini yogurt. Place hazelnuts in a dry pan over medium heat. Toast until skins are dark and cracking, shaking often to prevent burning. 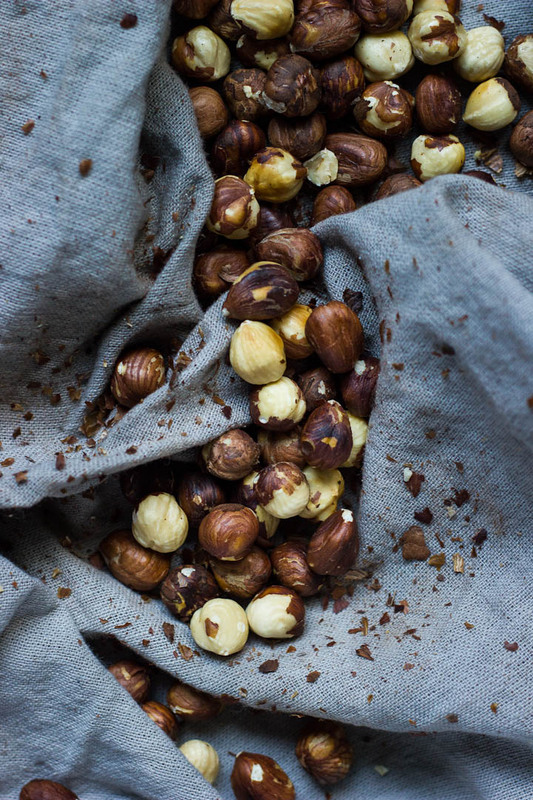 When the hazelnuts are deep brown in color, remove from heat and tip into a dry, clean tea towel. Rub the hazelnuts together in the tea towel until the skins flake off. Remove the nuts from the tea towel and return them to the pan, toasting until they reach a deep, warm brown. Roughly chop the hazelnuts, leaving a few larger pieces. Toast cumin and coriander seeds in the pan until brown and fragrant, being careful not to let them burn. Tip seeds into a bowl or a mortar. Toast the sesame seeds until light brown and add to the cumin and coriander. Grind in a mortar and pestle or in a spice grinder. Add the ground seeds to the hazelnuts and add salt. Mix together all ingredients for tahini yogurt in a small bowl, taste and adjust seasoning as needed. 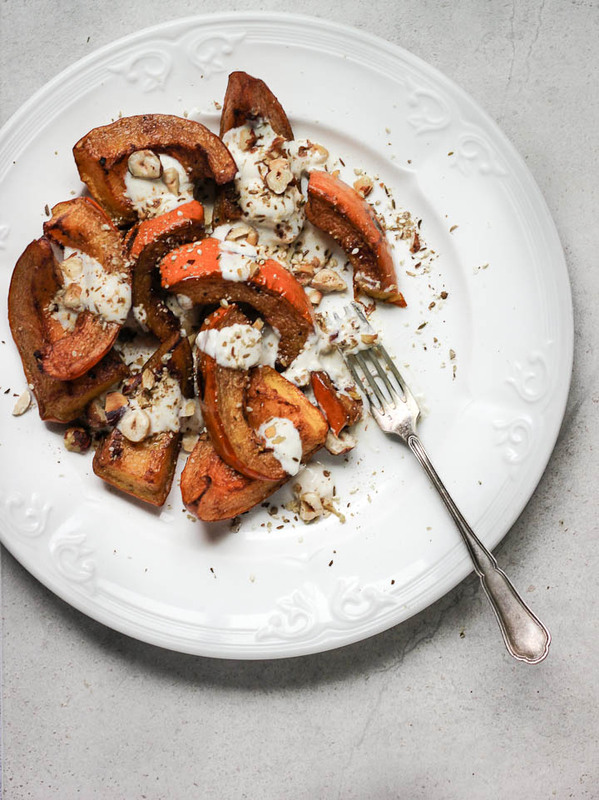 Scatter warm pumpkin on a serving dish, spoon over a few dollops of tahini yogurt and sprinkle with dukkah. 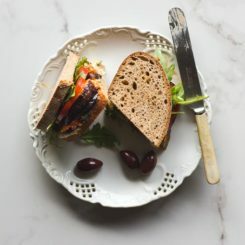 Cinnamon, pumpkin & tahini are 3 of my favourite foodie things! Droooooooooling over this. This is such a fantastic flavor combination. And the dish. . .so pretty to look at. A definite must on my table this fall. There is something so warm and cozy about the flavour combo here. 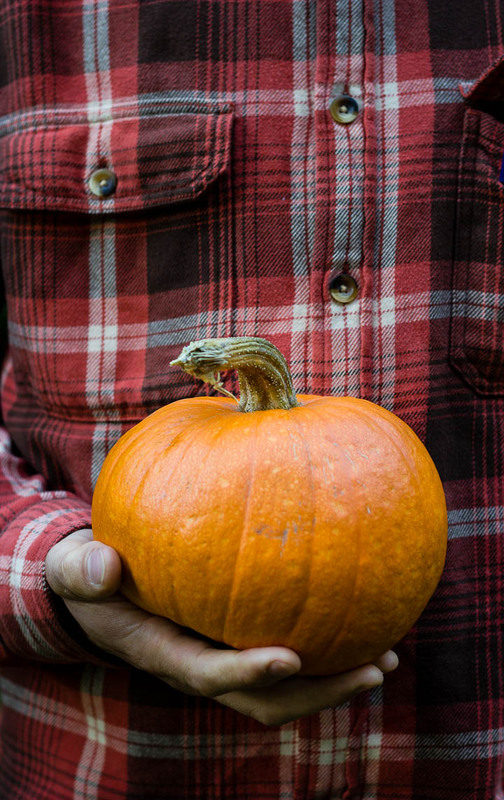 Love this one so much, and can’t believe you grew that glorious pumpkin! Woohoo!